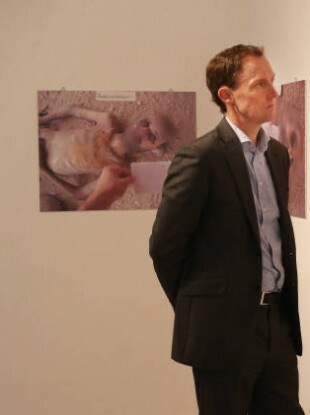 BARRY ANDREWS HAS resigned as chief executive of Goal, as the Irish aid agency continues to deal with a US investigation into its multimillion-euro Syria operation. Andrews informed the board of Goal in August of his intention to step down as soon as a successor could be put in place. The former Fianna Fáil minister’s replacement is expected to be announced later this month. The investigation, which is being carried out by the US Office of the Inspector General (OIG), has resulted in Ireland’s Department of Foreign Affairs withholding €10 million in funding from Goal. Last month the charity’s chief operating officer Jonathan Edgar resigned. Irish Aid funding accounted for 9% of Goal’s funding in 2015, providing humanitarian aid to more than 1.15 million people across 10 countries. In a statement to TheJournal.ie this morning, Andrews confirmed he was stepping down after concluding that Goal needed “a fresh start in terms of leadership”. “The circumstances of the OIG investigation over the last seven months has been extremely uncomfortable for Goal,” Andrews said. “And we are working hard on correcting the weaknesses identified and providing all necessary assurances to our donors. I do not for one moment resent the robust oversight of Goal’s donor partners. Goal applied exacting standards to the management of its programmes and as chief executive he had endeavoured to apply those standards. However, it has become clear to me that Goal requires a fresh start in terms of leadership. Andrews will continue to lead Goal management team until next month, when his successor takes up his role. Minister for Foreign Affairs Charlie Flanagan says he would like to acknowledge the personal contribution made by Barry Andrews. “I have been seriously concerned about the issues under investigation by the US relating to procurement practices for humanitarian assistance operations for Syria, since learning of the investigation at the end of April,” he said. My Department has been in regular contact with the US authorities and with GOAL. I outlined the Government’s concerns in a meeting with the Chair and members of the Board of Goal last month. In a separate statement also released to TheJournal.ie this morning, Goal chairwoman Anne O’Leary thanked Andrews for his dedication and commitment. She said he had been appointed during a “turbulent time” in Goal’s history – a reference to the rancour surrounding the 2012 departure of Goal founder John O’Shea – but had stabilised the organisation. “He also led Goal during a period of strong growth,” O’Leary added. Comments have been disabled as an investigation is ongoing. Email “Barry Andrews has resigned as head of Goal over US Government inquiry”. Feedback on “Barry Andrews has resigned as head of Goal over US Government inquiry”.